​This is a digital animation of self-description, including my nationality, my personality. The reason why I chose these two elements is that they can be expressed through colour and animation. For me, the colour is a very personal choice. Black is the colour of my hair. I'm Asian, so my skin is a bit yellow. For the expression of personality, I choose the swing effect of line. It gives me a sense of intensity. I think my mind is clear; I want blue line because it can represent the effect of lightning, it is the advantage that can make me happy. My eyes are brown. 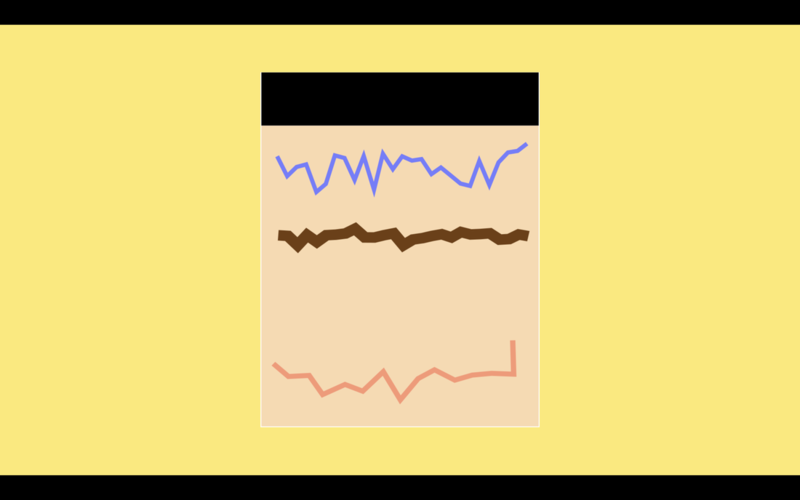 The swing effect of the brown line is slower than that of the blue line because I prefer to observe something. For the mouth part, I choose the pink line; I adjust to the smiling expression, I want to express that I am a happy and optimistic person. For the background selection, I use yellow, and for me, it seems to indicate an lively personality. I changed this animation three times. The first time was because I couldn't determine the background information. The second time was that the content of the face was too much, causing the main part to fail to stand out. The third time, because the line is almost the same, I adjusted my mouth part and changed it into a smiling expression. What makes me happy is that this animation embodies my essential characteristics and clearly expresses my happy part. I think the problem is that he is not specific enough. I mean, the audience may not recognise the artist himself. It can be anyone, and it seems only to express personal character. This approach may only be suitable for those who know Bowei. ​This work is about my study experience at Arts University Bournemouth, my attendance at the studio, I practice a lot, almost every day in the studio to do works in the academic year. In this three-year undergraduate course, I learned a lot about the skills of making and understanding the effects of different materials. In general, I do an excellent job in visual technology. To reflect the situation at the time, I chose grey, which is the floor colour of our studio. Dark blue is the colour of my overalls. I think these two elements are enough for me to recall that experience, which is very important. In order to express a lot of times, I chose a lot of blue squares to move in the grey squares. This means that my physical activity is a lot. I need to observe my work from different angles to ensure that the visual effect of the work is stable. In the production process, my first thought was the studio, which was the key to me. The second step, to determine the expression of myself, is to be able to identify that Bowei is in the studio, I remember that I often wear blue overalls, so it is something I remember very clearly. For the background, I thought a lot, and finally, I chose to use the colour of our studio building, grey, which can be determined at the location of the AUB. On the whole, there is no particular attraction in the picture. Compared with the self-portrait, I think this piece is more comfortable. I mean, the content is more real enough to make me feel excited, and that experience is precious. For the audience, I may be a student who studies hard. In the video, I did not see the results of the effort; I think I should consider the causal relationship more. For example, I practice a lot, and a particular position in the video should also change. The purpose is to emphasise the joy of success, rather than pure production. For the animation technique, I feel very fulfilled. I considered the neatness of the picture, so I didn't add more elements. Maybe one day, when I present this piece of work, I should explain it to the audience face to face or add an explanation. The purpose is to let everyone know that I am a fan of art. This is the process of doing my work, including the type and amount of materials I use, and how I feel during the production process — this time I want to try to use the size to transfer the effect of the number. The overall effect is more like a piano. Interestingly, I can control the object position to express what is most important. The reason why I made this work is that I want to express the hardships of doing works in undergraduate time. I still have a deep understanding of the quantity. I need to make the work perfect; it takes a long time. In the video, I use the left-to-right order to express the process I made. I remember the first step was to conceive. I needed to draw the expected effect of the work on a draft with a pencil. I experimented many times. I used black to represent the colour of the pen. In the second step, I went to the workshop to make the shape of the wire to control the shape of the clay. I replaced it with red-orange, which is the colour of the wire. This process is also complicated. In the third step, the clay is attached to the wire. I use grey to express the clay. I use much clay, so the proportion is relatively large on the screen. The fourth step is to casting and brush the silicon gel on the clay. This material is costly and is a pink colour. In the fifth step, after the silicon is dried, the clay is taken out, and then the plaster is poured into the mould for about 40 minutes. The process of casting is hard; it requires a certain amount of technology and patience. I practised many times, but I still can't relax. If it fails, it means reproduction and spends much time. Finally, after the plaster (white colour) has dried, I can paint on its surface that process is more enjoyable for me because it can repeatedly modify the pattern and can't take very troublesome steps. Visual stability is the core of my work because I like to see a comfortable structure. In the video, I use flashing frequency to express my love for colour control. Red, yellow, white and blue is acrylic pigments. I control their shape accurately, which is relatively simple. In order to reflect my thinking process, I deliberately separate the different colours, this is to reflect the time I have integrated into thinking. This piece, I think it should be divided into two parts, one is a difficult step, casting. The second part is to draw colours. In order to distinguish different feelings, it is difficult to express in dark grey. I use light blue to express a feeling of relaxation. I think it is difficult to adjust to the right position when I determine the proportion of the shape. I need to place them in the right position on the screen. I mean to be organised and ordered. This process, I have experimented many times. In the production process, I considered placing the shapes, I tried to make them more creative, and the result was tangled. I use the sequential method, and I hope that the audience can understand it easily. The result is quite satisfactory. I think it is still difficult to control the position of objects of different sizes on the screen. 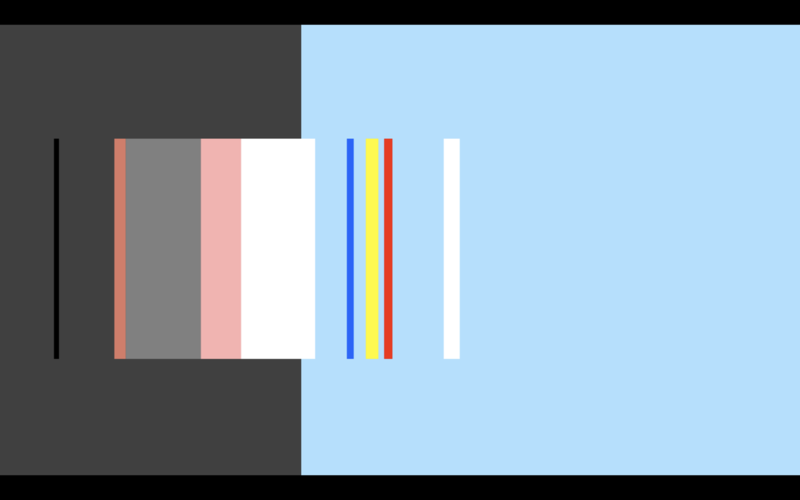 In work, I placed the red, yellow, white and blue colours in the centre of the screen. I mean that the process of painting colours is mainly in my practice. Maybe I need more location associations. My conclusion is: Maybe I should not care too much about creative factors. ​This work is about my experience in the library. The reason I chose the top view is that such a view can describe the thickness of the book. I wanted a light yellow colour because the books in our library are the same colour. The reason I made this animation is that I want to use the effect of the top view to describe the memories of my reading. I prefer to read some books about visual aspect, I learn some composition techniques, and some expressions about lines and colours. I remember the most impressive thing about this is the book of visual perception, which describes the interpretation of shape and form. I understand a little bit that is helpful to me. When I write a thesis, I will use it as a reference. In the three years of undergraduate studies, I did not read many books because it was difficult to find information that helped the practice. I still like practice and analysis. The tutor sometimes recommends me to read some books, I read, but I don't think the information is enough, it is not useful. In the process of making animations, I encountered difficulties in setting the background and didn't know how to choose background information. I thought for a while; I decided to use blue as the background. The reason I decided blue is that it represents the colour of the pen and ink, and it is the comments from the tutorial. In the tutorial record, most of the pens are blue, so I use the tutor advice as the context. At the very early stage of making, I began to express my actions with fluctuate lines. My activities part is in the hands. I want to express that I flip a lot of books, which means that some books are hard to attract my attention, so I kept flipping through the book, which is why I placed the black line on top. The reason I use black is that I want the audience to see the frequency of the action. As for why it is beyond the scope of the book, I did not adjust it. If the black line is in a light yellow box, I think this will make the action not free. I mean I prefer the relaxed visual effect. As for what I learned from the library, I think it should be the artist's expression skills. At that time, I didn't know how to appreciate artworks. I only concentrated on those interesting and good-looking works. By the time I graduate, I seem to understand that simplicity is probably the most effective. Now I have found a way to relax and make me think more, that is to use a computer. I hope that I can find valuable information in the book and help me to provide knowledge of the idea. For this work, I seem to have learned how to find the right information. Maybe I should ask more and ask those who are professional. At the same time, I also realised that I did not see any problems with my undergraduate practice, so I did not do too many research. Now I know that there will be no progress, I need to find the problem and then solve it. If I can return the undergraduate course, I want to do more than just studio practice. I will work with the tutor to achieve better standards. I will solve the problem. I want to make the work more interesting. I am confident that I will stick to it. ​This work is about my daily work in the undergraduate course. I find it interesting to use the effect of the top view to describe the three places I often go to that is studios, restaurants, and workshops. To reflect the frequency of my entry and exit in these three buildings, I use different brightness to express. The brighter square is where I stayed for a long time, my studio, and the workshop. The reason I often go to these two places is that I really like to challenge myself. At that time, I chose some complicated production processes, such as welding. I am delighted with the effect I produced. I am very happy and very fulfilled. 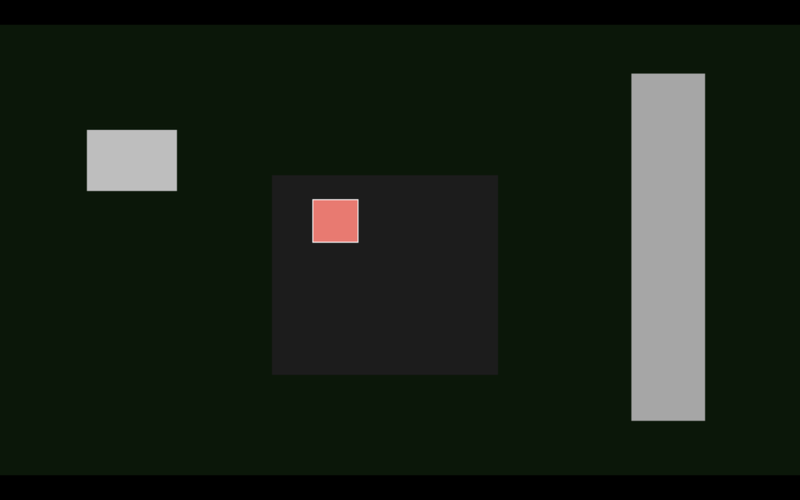 In the animation, I chose the grey square to express the architecture of my university, the studio on the left, the restaurant in the middle, and the workshop on the right. This time I created according to the actual location of the university. At this time, I thought about my activities in these three buildings. I clearly remember that I was very energetic at the time. My goal is clear, that is, I want to be the best. I chose a small pink square to indicate my status. In the making process, I like the straight movement, which can express that I am a more mechanised student, meaning that I don't care about exhaustion. When I animate my actions, I still find it very interesting, because it seems to be worth it. From the current point of view, I personally think that I should relax rather than pursue technical perfection. This time, I did not entangle in the background layout, I chose dark green directly. It represents a militarised training process. I don’t mean that our university is a military institution. I want to express that I am too strict with myself. This seems more like being engaged in highly rigorous institutions. Maybe I care too much about what others think of myself and mistake the surrounding environment as a place to test myself. This is ridiculous at the time. Now, I feel that it is most important to make myself happy. There is no need to challenge myself too much. After three years of hard work, I did what my peers didn't want to do and did things that were difficult for me. It was worth it. That is, I really challenged myself and proved that I am the best. Seeing this work, I can clearly recall the state at the time, that is, I worked very hard. What I am going to do now is to create works that are more interesting than the undergraduate in a more relaxed way. I am doing it, I think it is very good at the moment, and I am satisfied with my work. This work is about me working in the studio. The reason I made this animation is that I want to see my actions and status at the time. 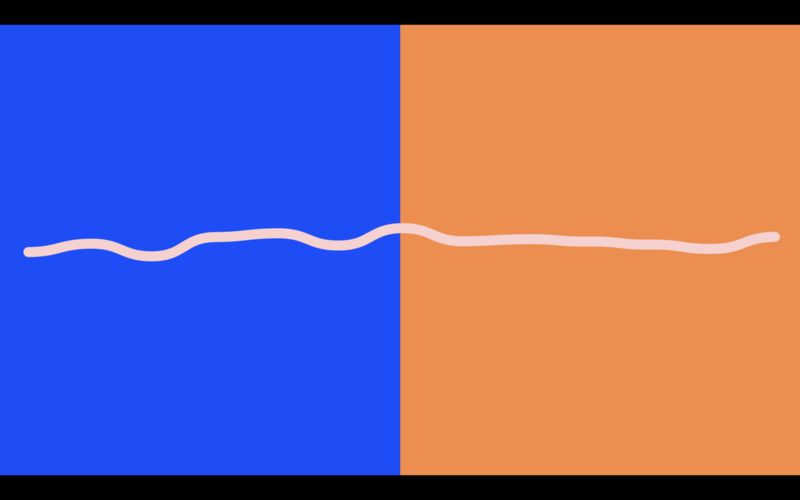 The fluctuating line segment is the active area of my body, the blue line represents my brain, the pink line represents my limbs, and the green line represents my inner activity. I want to say that making and thinking is my main task in the studio. I remember that at the time, what I wanted to consider was what should be done because the studio in my residence was very far away, so I could not waste time in the studio. The first thing that comes to the studio is to conceive, imagine the final effect of the work, and to draw sketches. This process needs constant modification to achieve perfect results. On the whole, the brain is more active than other parts, and its proportion is my head size. For the level of limb activity, I want to use a pink line, because I am energetic. When making the torso, I felt that the content was excessive, so I decided to transfer the torso line to the heart and show it in green, which indicates that my heart activity is stable. When I made the leg part, I felt a bit confused because I didn't know how to use the line to represent the leg. I tried to draw the part of the leg with the line, but the effect was not very good, and it was rather dull. Finally, I set the skew of the line a bit, one high and one low, which can indicate that it is in progress. When I made the studio background, I felt that it was a lot easier because I thought about the brightness of the space. To reflect the distance, I narrowed down the dark part to achieve the effect of the distance. The overall background is the colour of the studio, and I use a black thread to separate my studio. In this work, I use the level of swing to express my status at work, that is, professionalism, I have not wasted time, because the effect I want to achieve is that it takes a lot of time to complete. At that time, I remember, challenge myself, and the progress will be great. In fact, I was making progress every day. I want to strive for better works one by one, which is reflected in interesting content and accurate visual balance. But now, I have mastered the skills of visual balance, but to be interesting in content, it takes time to think. What makes me happy with this piece of work is that I have made my physical activity clear, which means that I can distinguish the level of activity of the body through the level of swing. In the making process, I learned to use different colours to identify the parts of the body. I like clear things very much, which seems to be more direct and more real. I hope that the audience can see this piece of work and can imagine the reasons for different swing levels. I know that for those viewers who don't read the explanations of the works, knowing what I want to express is very difficult for them. Because colours, lines is a broad meaning, I can consider adding more details, but I personally I like the simple layout because it allows me to remember and analyse easily. This work is about the number of times I work in the studio and my five years of attendance, high school, undergraduate, and master. This time I used the number of squares to express the number of attendances. I find it somewhat tricky. The first is the composition. I think the position of the organisation object should be considered. 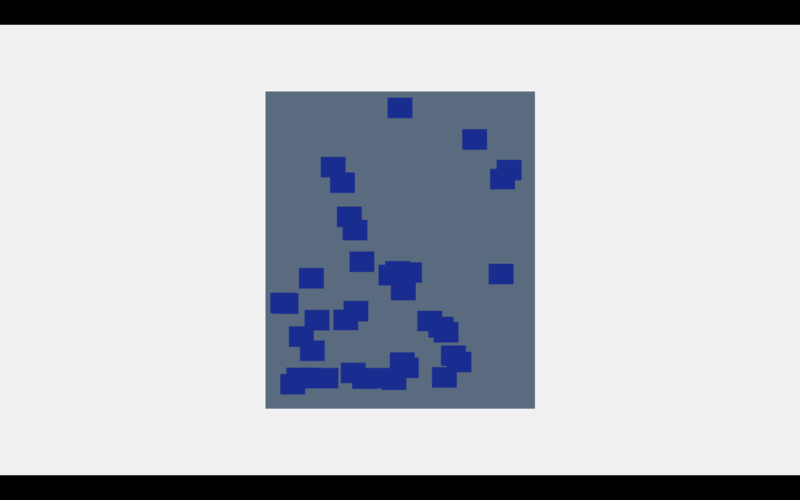 During the production process, I placed the grey square in the upper left corner of the screen. I felt a bit confused because I could not find the right reason to explain its position. Finally, I decided to place the grey square in the centre of the screen, and I think the middle position might be the most important thing to express. I feel it is necessary to show the number of times of attendances in full as the clarity of the memories. The grey square is my studio. A total of about 1,300 are my attendance. I mainly work in the studio, so when I saw this data, I felt very fulfilled. Because I achieved the best results. The reason I made this work is that I think it is essential to come to the studio to do the work. I think I have learned a lot compared with other students. In the time of studying art, I am not very relaxed. I am very strict with my work. I am also very grateful to my parents for their education they have made me become a good student. In college days, I came to the studio almost every day to do works, sometimes including weekends. I think the primary meaning is to hone myself and not be afraid of difficulties constantly. I think this piece is suitable for those who want to succeed, that means to be able to persist. In the works, I will also express the meaning of persistence, that is, from left to right is almost non-intermittent. In fact, in the days of masters study, I relaxed a lot. I feel that I should do some simple works. There is no need to continue to challenge me. I hope that there will be no problems with my body and mind. I did a lot easier, but I did not do much research. The works are almost all about harmonious images and beautiful effects. Compared with undergraduate works, postgraduate study is relatively easy. I did not work as hard as I did undergraduate. Now think about it, I think I should do more work on the visual form, mainly to stimulate my imagination. My belief has not changed, that is, insist on doing good works, and don't have any problems. 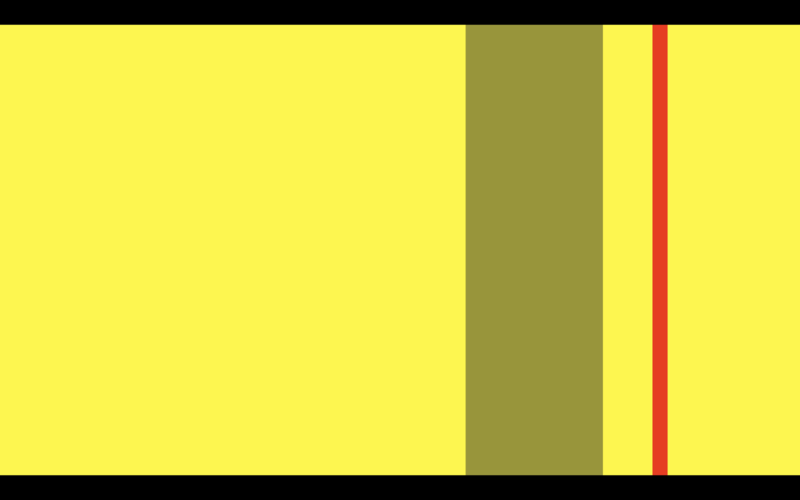 In general, I should reward my performance, so I set the background to yellow, which represents the colour of the gold award. Compared with the previous works, I feel that nothing is interesting about this work. The content is about quantity and feelings. Maybe I should consider some of the changes in expression. Through this work, I learned how to organise the position of the number of objects, that is, to find a logical reason, and then decided to arrange the composition. I want to say that it is meaningful to study in China or the UK. It trains me. I am very happy, and I will continue to do so. This work is about the evaluation of the practical works by the university and myself. The reason I chose to make this animation is that I think my work is very good regarding content expression and production technology. The content of this work includes my overall summary of my work, the scores my mentor gave me, and my real opinion of the scores. During the production process, I spent some time thinking about the way I can generalise my work. I decided to choose yellow because my work is about positive thoughts and yellow is lively for me. I use yellow as the background because it logically links the assessment form, meaning that the content of the assessment is my practice. In our university, the tutor usually fills in the final agreed scores with the learning outcomes. What makes me unhappy is that I don't get a high score. From level 4 to level 6, the scores are mainly between 55% and 68%. Although I don't know how to improve the score, I asked our tutor when I was in masters, how can I get a good score? My tutor said that this is a wrong question, you should consider how to do good work, high scores are from good works. I remember that when I was in the undergraduate course when I saw that my peer's mark was taller than me, I felt that it was unfair because I didn't see them spending a lot of time doing their work. I know that they have nothing to do with me. The most important thing is that I can make progress. When I was in masters, I decided to try to change myself. Don't make myself too tired, but the result is still the same. The score has not improved. I know the reason. I didn't find what I was really interested in. This quality is not good. Now, what makes me happy is that I have found something that can play my strengths and is also a topic of my own interest. 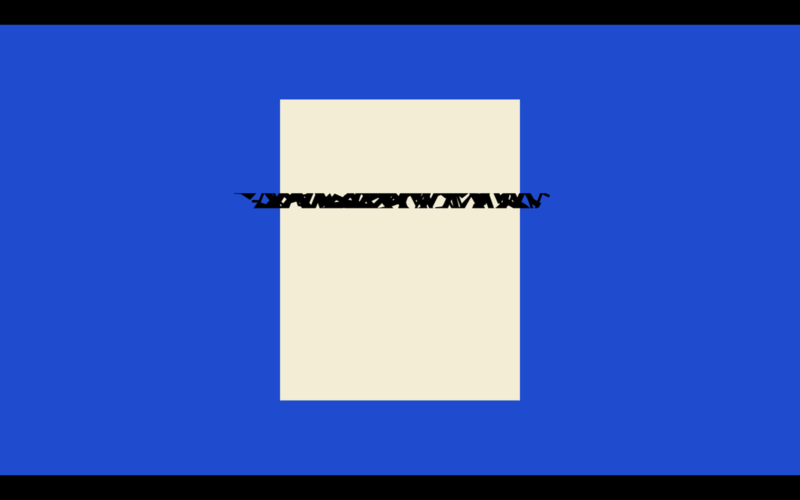 In work, the grey rectangle is the position to describe the grade. I placed the grey rectangle in the centre that is my score on a satisfactory learning outcomes, which gave by my tutor. I can easily recall the assessment of the work. The red colour is my opinion. I think my score should be higher. At least I have considered the visual element. The reason why it is relatively thin is that I want to express the specific position of the score. It is conservative or accurate. I am not against the score given to me by the tutor. I just want to record the emotional reaction at the time. Perhaps this work can show some problems of its own existence. It needs to take time to observe and determine whether I should change my understanding of the marks. For the audience, it is difficult to determine what the specific score is without unit measurement. From my heart, I don't want others to know my assessment in university. I hope they can see my efforts. I am very grateful for the tutor's help. Through these four years of study experience, I realised that what I really learned is the most important thing. I am very grateful to my parents and the university. ​This work is about what I have learned in the UK and what has changed in the present. Speaking of what I learned, I think how to create a harmonious picture and exciting ideas. I am very satisfied with my work because I am careful. Before I do each piece, I have to figure out how to make the effect interesting. My definition of interesting works is that the form is fresh and technically perfect. In the undergraduate study, I have kept these two principles. Under long-term training, I have no difficulty in expressing my thoughts, which means that I can experiment in my mind to achieve the best results. In my work, the reason I converted my creative ability to orange is that I think my association ability is relatively strong. I think orange can indicate the level of activity in the brain. I mean, I don't have any difficulty with expressing an idea. If I feel strenuous, I may reduce the brightness of orange. Regarding production technology, I have learned a lot. As long as it is a three-dimensional thing, I have a way to implement them. This process requires logic, so I convert the logic ability into blue, which means blue represents fast. The reason why I can do complex works is that I keep learning and thinking. When I fail, I don’t give up, but reflect on the reasons for my failure. Finally, I succeeded, so I don’t think I have difficulty for making. I am very happy with the ability to be creative and logical, especially after I succeed I will be more happier. Looking back at the experience of the undergraduate course, I think there are shortcomings. For example, I can't relax, which makes my nerves stretch very tight, and I am a little proud, no guide to ask. I now realise that it is very risky to isolate myself. But fortunately, my current state of mind and body has become calm. Sometimes I will pull out the comments given by the undergraduate tutor. Their comments are helpful to me. At least I can know my weaknesses and advantages. I am very grateful to them. 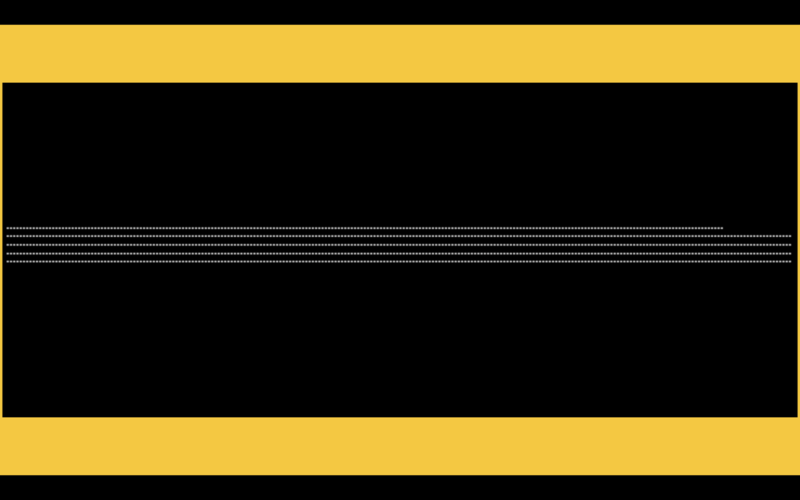 In work, I placed a horizontal wavy line in the centre of the screen. This represents my physical and mental state. I adjusted the speed to 1.2. This is a slow swing, which means that I am steady. On the whole, this piece makes me happy that I express my own left and right brain characteristics very clearly. The middle curve represents my satisfaction with my ability, but it is not a big surprise. I mean I should continue to do so. I have become more mature through my study experience in the UK. At least I have a clear purpose, that is, learning and learning from the university. Keeping a positive and integrated mindset, I think this will make my experience meaningful. Through the practice of these nine works, I realised that it is not necessarily important to work hard in the making, but I believe that effective learning is correct at the university. In the production process, I still maintain some principles, that is, to keep the cleanliness of the picture, and the clarity of the information. I think what I did is better to express the accuracy of the information. In Figure 1, I think the success is that I can see how active my brain is. This is something that makes me happy because I found my strengths. When I recalled my university life, I just concentrated on the expression of my efforts and persistence of state characteristics. I was a very hard-working student in university. In practice, I express the reason why I work so hard, that is, I strictly demand myself. In Figure 5, my subconscious mind is worried that I will fail, so I am performing a task like a soldier. I feel Not at all easy. Regarding setting the background, I feel a little tricky. I always wanted to express the contextual information of the work clearly. In Figure 4, I spent some time thinking about the background. I learned to connect the source of the object so that it can easily recall the scene at the time. I still enjoyed this making process very much, probably because I got a good computer, which made me practice without obstacles. On the whole, I think the main problem with a single work is that I can't determine what I am doing on the digital screen. For example, in Figure 6, I simply expressed my physical activity in the studio. It is difficult to understand what you have done if the audience sees it. I wonder if it is enough to remember the essence/beginning of the event. I think this should depend on the degree of control over the picture. I mean, if you want to make the view clear, there is no need to add more details. But the effect of recall may not be too good. Maybe after 40 years, back to see the current work, I guess it takes time to understand the meaning of the work. However, I can still remember the works I have done before because their colours and actions are impressive to me. The reason why I express the memory of university life, I want to see the side of my struggle, it can prove that I did it, and it is doing very well. Through such practice, my use of such expressions will increase my ability to transform information. I thought if I want to text information on the screen, I said from the bottom of my heart, I don't want to add any text on the screen, because this will not challenge my imagination. I want to challenge my association ability. If it is just text, it will be boring. I don't like works about textual information. I am only interested in works that are unclear meaning because they can stimulate my thinking and reasoning. Among the nine works, what makes me happy is Figure 9. The reason I am satisfied is that I changed, I became more comfortable than before, and my ability improved. I think it's just the most important thing for me. I like to discuss my work with others and learn what other audiences believe, maybe this will help my practice. In conclusion, in this practice, I enjoyed this process very much because it exercised my ability to think. Regarding expression, my goal is to analyse and understand the use of the transform attribute. 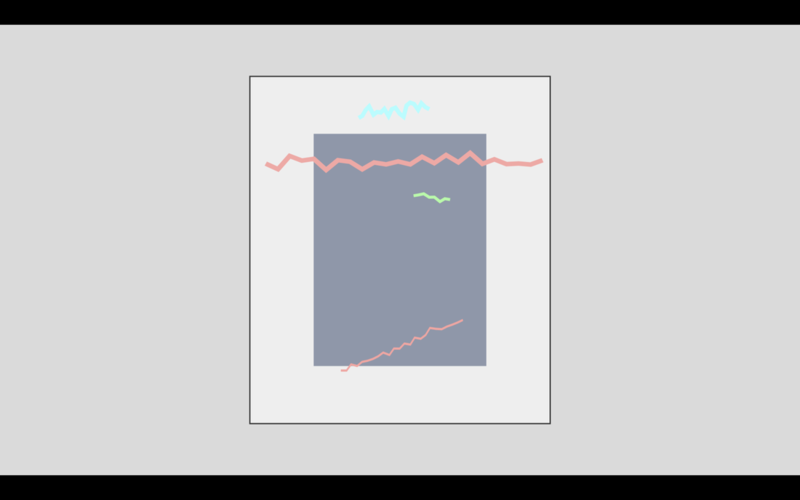 When I see my memory converted to geometric animation, I can see my activity and state very clearly. I think this expression is helpful in analysing the performance at the time and thus making changes to the defects. Satisfied, I no longer need a complicated production process, I mean, the simple way may be suitable for presenting the core of the essence of things, then I am very clear about what changes this core will make to the development of things. Through this practice, I will continue to convert my problem into position, opacity, size, which can help increase awareness of the consequences of my actions.